When a family member passes away without a will or other estate plan, chaos can and will ensue. The difficulty of this already stressful time can be magnified when, suddenly, it is unclear what will happen to the property of a deceased family member. 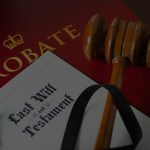 At times like these, you will need an experienced, professional probate attorney who can ensure the assets of your deceased love one wind up in the right hands. Bohn Law Firm has over 30 years of probate experience. Whether the estate is small and simple or large and complex, our firm is fully equipped to protect your rights. Call (702) 642-3113 today to set up an appointment with one of our highly qualified attorneys and we will use our wealth of knowledge and experience to smooth transfer of assets.